A Primer on Postmodernism does a great job at what the title suggests – it introduces the reader to the ideas and people who have helped shape and reflect upon the postmodern era. The book is divided into seven chapters each serving a unique purpose to introduce postmodernism to the reader. 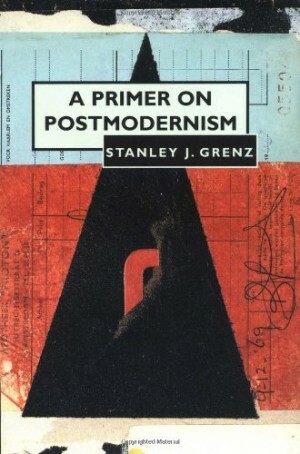 Throughout the book author Stan Grenz compares postmodernity with its predecessor modernity noting the differences that have affected thinking, industry, and culture. Grenz argues against the farce that postmodernism is a world view and suggests that it is an era of time or a way of thinking such as the modern era, which helped birth the enlightenment and the industrial revolution. After the first 3 chapters of introduction to postmodernity, Grenz outlines the history of modernity and introduces the reader to the primary thinkers in modern philosophy (including Kant). Next, Grenz outlines the philosophers that helped usher in postmodernity including Nietzsche, Schleiermacher, Heidegger, Gadamer, Wittgenstein, and Saussure. After noting the influence of these thinkers, Grenz highlights the lives and thoughts of the three most prominent postmodern thinkers: Foucault, Derrida, and Rorty. The last chapter is given to the advance of the Gospel in the postmodern context. Grenz finds reasons to resist some attributes of postmodernism as well as areas of common ground between Christianity and postmodernity. He also notes how Christians must consider certain nuances of postmodernity (i.e. post-rationalistic, post-individualistic) when presenting the Gospel. I enjoyed reading the book and found it helpful in understanding the general contours of postmodernism. The book would be helpful for most Christians interested in the ways postmodernism impacts Christian thinking and the advance of the Gospel. Chapters five and six may be a bit complex for those who have little to no background in philosophy, but the chapters before and after are easy to read and help the reader interact with central tenets in postmodernity. I believe most readers will be pleased with this introduction to postmodernism and find the information helpful in their daily interaction with postmodern thinking and culture.